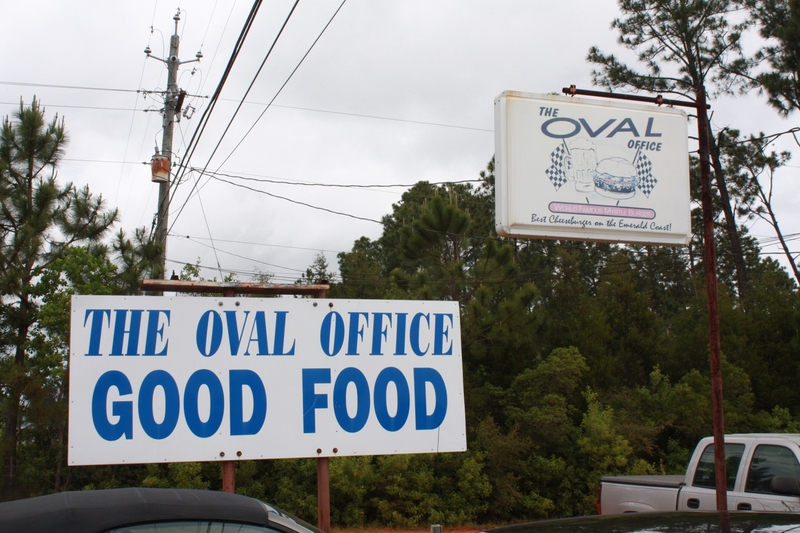 Located on Avalon Boulevard in Milton, The Oval Office has been turning out delicious hamburgers and ice cold drinks since 1991. Walk in at lunch time and you’ll be greeted by the owner Al Grinde working the grill with a smile. So, we had BIG expectations when we walked into this local favorite. The sesame seed bun is soft and simple. Grilling the bun may be the only thing that could improve this burger. That, and more cheese. Several judges felt the cheese was melted to the point it almost disappeared or became permanently adhered to the top bun. In short, the Oval Office did not disappoint. It delivered the same great burger we’ve come to expect year after year. Keeping it at the very heart of the “Best Burger in town” debate. The Oval Office burger finished with a final score of 7.81 which is enough to land it in first place (for now) a half point ahead of second place burger at Five Guys Burgers and Fries. So, visit the Oval Office. Say hello to Al be sure to give Patsy a hard time. Check out the burger and let us know what you think. 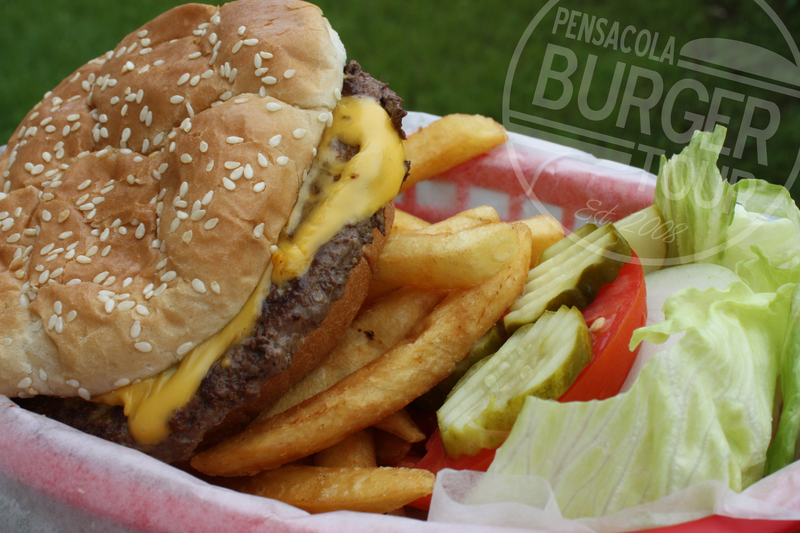 Then check back next week as the Pensacola Burger Tour, rolls on.